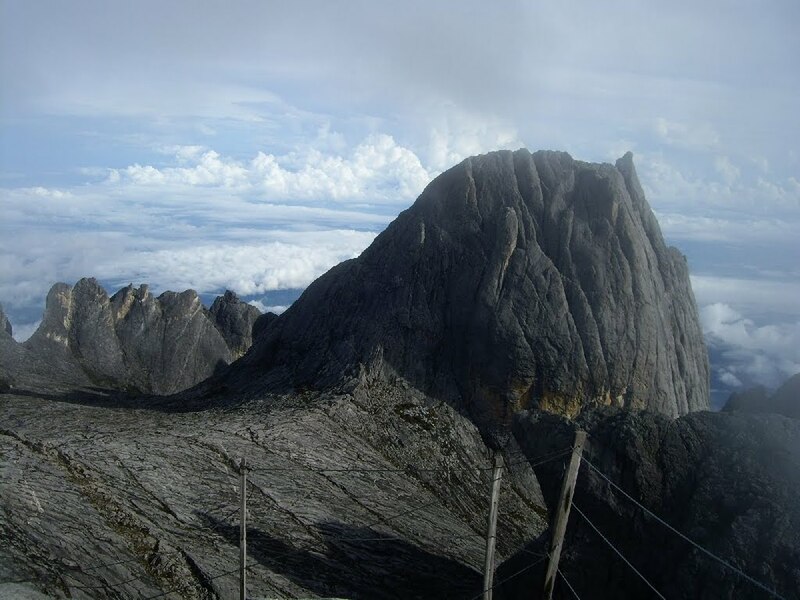 The highest point on the island of Borneo, Kinabalu is probably the most popular hike in Southeast Asia. It is a truly stunning mountain – crowned with various glistening granite peaks and spires. 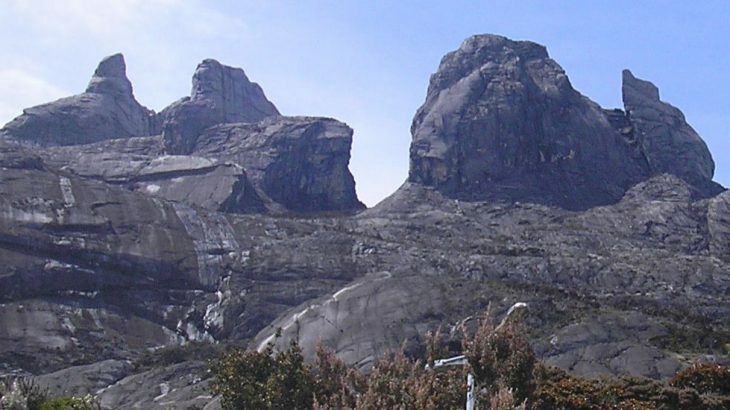 Besides the great beauty of the mountain itself, its popularity is also due to its height, its accessibility from nearby Kota Kinabalu and also because it is well-publicised and information is far more readily available online than for Indonesian peaks of a similar height. Most people climb to the peak for dawn on the second day, and at 4,095m it gets very cold so remember to take lots of warm clothing. Sadly, there are a number of administrative hurdles which need to be dealt with. First and foremost, the mountain is ‘owned’ by Sutera Sanctuary Lodges, a luxury holiday accommodation corporation. In conjunction with the National Park authority, Sutera Sanctuary Lodges has a monopoly on access to the mountain. No camping is allowed and you must book ahead – several months ahead – to reserve your place as part of a rather expensive ‘package’. Sometimes you can get lucky if you just turn up on the day you wish to climb to see if there have been any cancellations but it is much better to plan ahead. 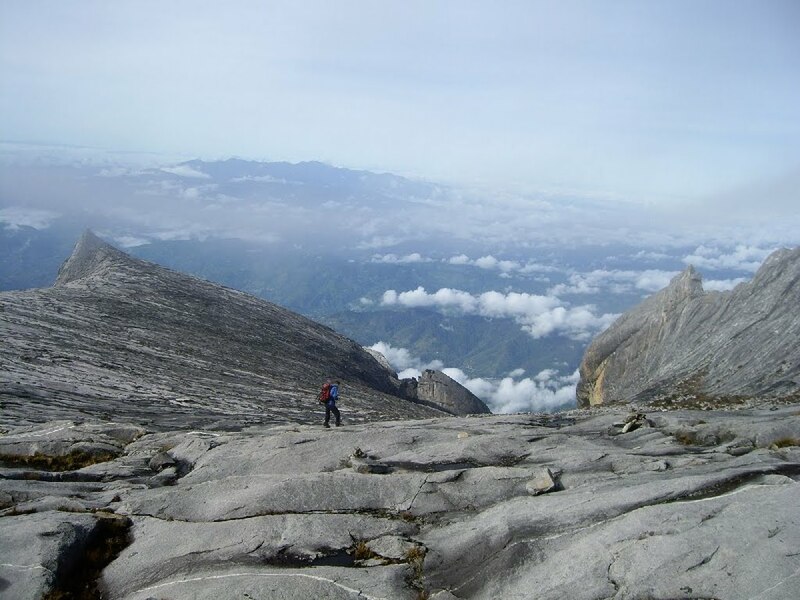 The popularity of Kinabalu means that during peak holiday season (June-August) literally hundreds of people climb it every day, so if you like solitary walks in the mountains you probably won’t enjoy this one. If you deal with them via email, Sutera Sanctuary Lodges will initially try to sell you a ‘3 days, 2 nights’ package including staying at expensive accommodation within the National Park the night before you begin your climb. This is quite unnecessary and it is pretty obvious what their motivation is here. Most fit people can climb the mountain in the usual 2 days and really fit hikers would just about be able to get up and down in one single day. The latter is only possible if you speak to staff and sign waivers and you cannot start before 7am. The former is the best option, but you will probably have to send several emails to them politely stating that you really do not need to spend all your money staying in their expensive hotel the night before! As is all too common in Southeast Asia, foreigners are charged a higher rate for almost all fees. Unabashed racism. Quite what Malaysians would make of being charged more in the UK to visit the Lake District would be quite interesting to see. One of the reasons that no camping is allowed is because accommodation is available on the mountain itself. Since 1985, thousands of hikers have spent the night at Laban Rata – dormitory accommodation at an elevation of 3,273 metres above sea level – prior to climbing to the highest point of the mountain – Low’s Peak – for dawn the following morning. It’s a great place to chat to other hikers, send a postcard home, and enjoy the excellent buffet food. However, it is way beyond the financial means of most ordinary Malaysians and there is no alternative budget accommodation. There are other rooms in other buildings available nearby but these are just as expensive. The National Park Headquarters are less than 2 hours drive from Kota Kinabalu (commonly known simply as ‘KK’) and at an elevation of 1,578m. It is here that the bureaucratic hurdles have to be dealt with – it takes about 30 minutes and at the end of it you will be clutching countless pieces of paper. First there’s the National Park entrance fee, then there’s the guide fee, then there’s the transport to/from the actual trailhead (Timpohon Gate), and of course the bits of pieces of paper related to both your booking and the meals you will get at Laban Rata mountain hut. You have to visit 3 different buildings to arrange all this. Despite the apparent competence of Sutera Sactuary Lodges, and the price tag, don’t expect everything to run smoothly. When I was there (July 2011) there were no guides available and local villages were being scoured for people who could take on the role of guide! Whilst guides are officially ‘obligatory’, the path is almost impossible to get lost on and so should there be no guides available and you are a confident hiker, simply ask to sign a waiver stating you will be responsible for yourself. This may take some arguing but they will agree eventually. After you’ve sorted out the paperwork and donned your identification card, collect your lunch from yet another building and hop into the transport to travel the 4km to Timpohon Gate (1,777m). This is the true starting point of the hike. There is a sign here detailing the fastest ascents of Kinabalu – the current fastest ascent/descent is an unbelievable 2 hours and 33 minutes by Marco de Gasperi (in the Climbathon 2010). 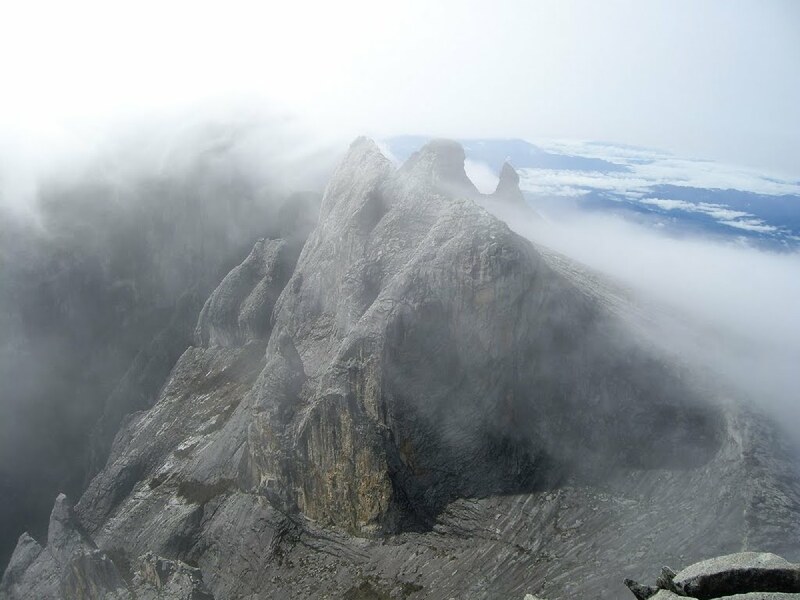 For most mere mortals, it takes at least 7 hours up and 5 hours down – 4 hours to reach Laban Rata, a further 3 from Laban Rata to the summit the next morning, 2 back down to Laban Rata and 3 back down to Timpohon Gate. The authorities request hikers start no later than 10.30am so that you are up at Laban Rata in good time for an early evening meal and some sleep. The well-signposted trail is very easy to follow right the way up to Laban Rata. The first landmark is Carson’s Falls, a small waterfall. After this, there are rest points at shelters every kilometre or so where you can check your position on the trail map, talk to other hikers, fill up your water bottle (untreated water) and visit the toilet if needed. The trail is well looked after and there is very little litter indeed. 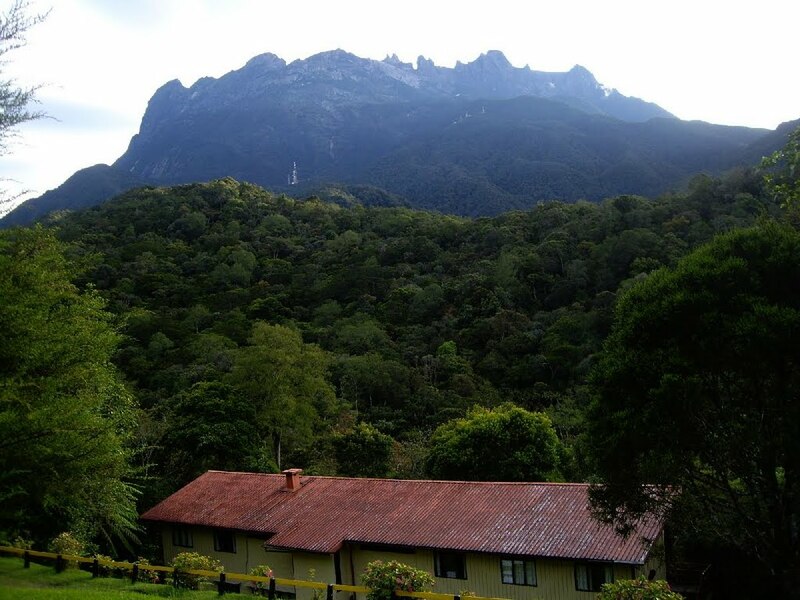 The views are quite limited to begin with, but as you get closer to Laban Rata, the vegetation become less dense and you can admire the huge granite cliffs of Kinabalu towering in the distance and the valleys of Sabah behind you. Laban Rata is a great place to take it easy and prepare for your ascent the following morning. It’s also at a perfect elevation to get used to the lower level of oxygen in the air in time for your summit attempt the next day. Once you’ve registered and found your bed for the night make sure to try the local coffee and send a postcard home! The hot water and heating was broken in July 2011, but the hot buffet food is fantastic and the beds are very comfortable. Breakfast is served from 2-3.30am and most hikers start the ascent to Low’s Peak at around 3am. The problem with this is that bottlenecks form and you may well find yourself waiting whilst the hundred hikers infront of you queue up on the narrow wooden steps up the mountainside. The climb itself gets really interesting when you get onto the granite itself. Ropes lead the way up and over huge granite slabs of the Panar Laban rock face. Do be careful here as you pull yourself up the rock – there are some sections where a fall would cause quite serious injury. Once past Sayat-Sayat hut and checkpoint and up onto the vast granite plateau near the summit the hiking is really enjoyable – simply following a thick white rope across the bare rock. You will probably start to feel your energy wane as you get higher and higher. Less oxygen in the air means that each step you take will seem to requite a little more effort. Most people will be fine, but slow down, drink some water and take a rest if you feel nauseous. Looking back down the trail you should see a huge trail of hikers’ torches snaking up the mountainside. Further ahead, there will be a cluster of lights on Low’s Peak itself. If you left Laban Rata at 3am, you should be at the very top of Borneo before 6am. It’s a crowded little place and care must be taken not to fall over the cliff edge! You will really appreciate your warm clothes, hat and gloves here just as the sun begins to rise over Sabah. 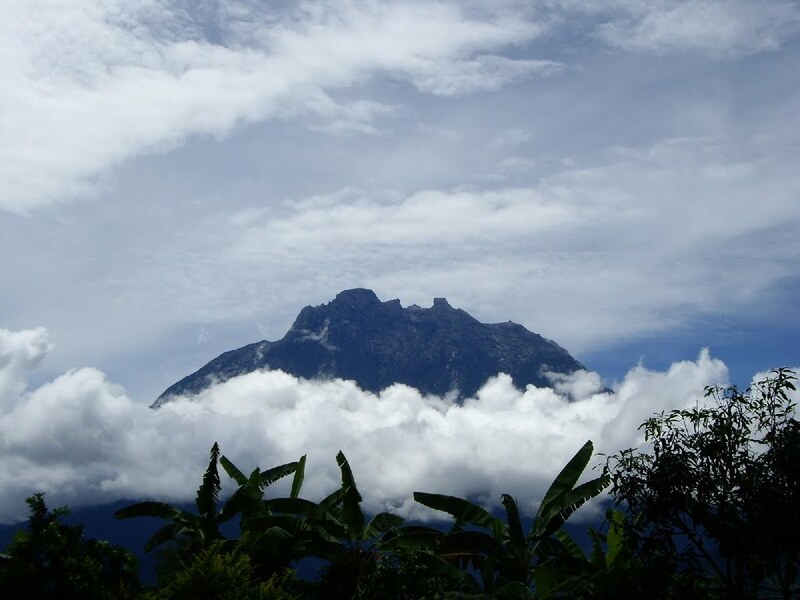 If you’re lucky with the weather, as it gets light, you can admire all the other peaks on Kinabalu, some of which are just a few metres less than Low’s Peak. Ask your guide to point out Victoria’s Peak, St John’s Peak, South Peak, Ugly Sister Peak and Donkey’s Ears Peak to you. Despite being the highest, Low’s Peak itself is perhaps the least interesting in terms of shape. For hikers who don’t like using ropes this is a blessing because some of the other peaks look totally impenetrable! Low’s Peak is named after Sir Hugh Low, a British Colonial Secretary, who climbed the mountain in 1851. It must have been very tough to just get to within striking distance of the peak back then when the base of the mountain was surrounded by dense jungle. After admiring the fabulous view, you’ll want to get back down to Laban Rata for a quick change of clothes and most importantly for a breakfast (served from 7.30am). Check-out time is 10.30am and most hikers are back down at Timpohon Gate by early afternoon. It is fascinating and humbling to see the locals carrying hundreds of eggs and other food items up to Laban Rata in preparation for the next night’s gang of hungry hikers. Once back at Timpohon Gate, hop back into the minibus which will take you back down to Park HQ. A lunch at the restaurant near Park HQ is included in the standard package after which you can hail a minibus on the main road outside the Park buildings or jump into a shared taxi with other hikers bound for KK or elsewhere. It is worth noting that there is a second trail starting at nearby Mesilau Nature Resort. It is 2km longer than the main Timpohon Gate trail and actually joins up with the Timpohon Gate trail 4km up (6km from Mesliau Nature Resort). It may be of interest if you fancy a bit of solitude on the way down and have extra time. Getting there: The nearest city is Kota Kinabalu and there are direct flights from Jakarta 3 times a week. KK is 2 hours drive from the National Park entrance. The cheapest way to get there is to take a minibus headed for Ranau (RM20) or share a taxi with others. Accommodation: Plenty in Kota Kinabalu – both budget dorms and 5 star hotels. Accommodation on the mountain itself must be booked in advance. Permits: An absolute nightmare! You need: an entrance ticket, climbing permit, guide, booked accommodation, transport to/from Timpohon Gate. As usual there is the discriminatory policy of charging non-Malaysians a higher rate for most, if not all, of these. 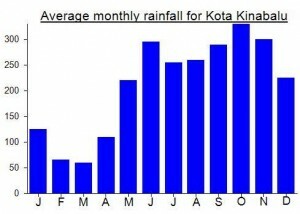 Water sources: Water is available at many of the rest areas on the trail and also at Laban Rata. However, it’s vital that you take enough with you. 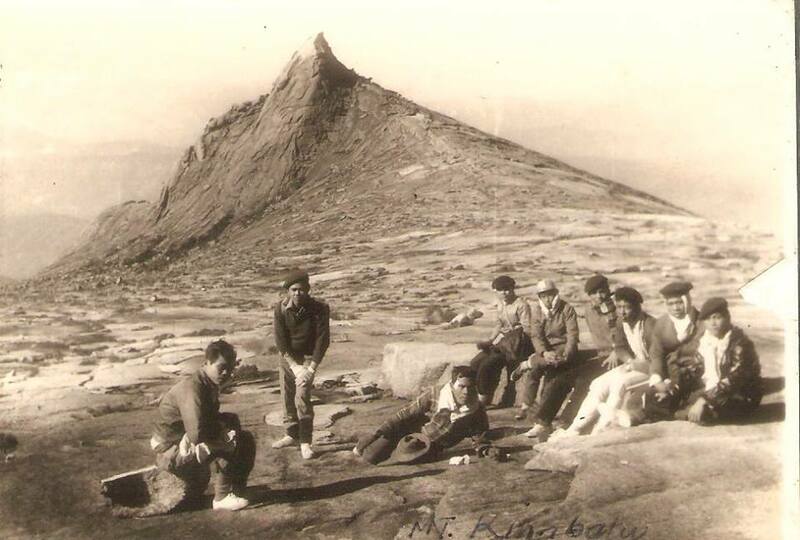 The first derivation of the word Kinabalu is extracted from the short form for the Kadazan Dusun word ‘Aki Nabalu’, meaning “the revered place of the dead”. 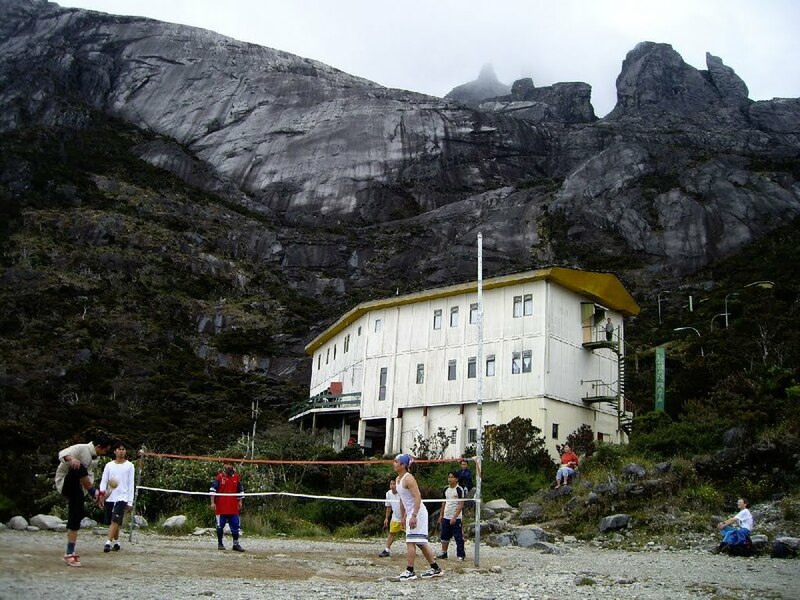 The second source states that the name “Kinabalu” actually means “Cina Balu” (which would fully mean “A Chinese Widow”). Due to the lingual influence among the Kadazan Dusun of Sabah, the pronunciation for the word “cina” (chee-na) was changed to “Kina” (kee-na). It was told that a Chinese prince, was cast away to Borneo when his ship sank in the middle of the South China Sea. He was subsequently rescued by the natives from a nearby village. As he recovered, he was slowly accepted as one of the people of the village. Eventually, he fell in love with a local woman, and married her. Years went by, and he started to feel homesick. So he asked permission from his newly-found family to go back to China to visit his parents (the Emperor and Empress of China). To his wife, he promised that as soon as he was done with his family duties in China, he would come back to Borneo to take her and their children back to China. When he made his return to China, he was given a grand welcome by his family. However, to his dismay, his parents disagreed with him about taking his Bornean wife back to China. Worse, they told him that he was already betrothed to a princess of a neighbouring kingdom. Having no choice (due to high respect towards his parents), he obeyed with a heavy heart. Meanwhile, back in Borneo, his wife grew more and more anxious. Eventually, she decided that she will wait for her husband’s ship. However, since the village was situated far away from the coast, she couldn’t afford to come to the shore and wait for him daily. Instead she decided to climb to the top of the highest mountain near her village, so that she could have a better view of the ships sailing in the South China Sea. Thus, she was then seen climbing up the mountain at every sunrise, returning only at night to attend to her growing children. Sabah (Malaysia) Sangat Tinggi. permalink. Well, I’m in Kota Kinabalu now, going to climb the mountain tomorrow. There’s been quite a lot of wild, blustery weather recently so fingers crossed! The city itself is fantastic – Indonesia could really do with looking at what they’ve done over here – there are pavements, it’s clean, friendly, you don’t get hassled by locals trying to sell you rubbish every 5 minutes! Very civilised and orderly. A truly lovely little city – you could easily have a couple of days just wandering round and sitting in the cafes on the waterfront. The backpacker places are quite cheap as you can just stay in a dorm room. Great place, very much recommended! It is very interesting to hear about the ‘red tape’ issue on this mountain. The highest in Borneo. How good that sounds. I’m off to climb it and neighbouring Trusmadi in late July. The both have a similar problem – huge expense caused by dubious moral and administrative practices. Whilst it is good to encourage people to climb and great to have a few signs (very much lacking in Indonesia) how a company can own a mountain and have a monopoly on all visits to it is highly questionable. It’s something I may write about for a newspaper here in Jakarta. In addition to the openly racist policy of charging ‘foreigners’ a higher rate I’m sure most ordinary Malaysians cannot afford the expenses required for the Malaysian rate. A great mountain I’m sure, but it seems somewhat ruined by all the admin. If you are in good condition it’s possible to do the hike in 1 long day. Get the first bus to the roadhead & head up as soon as the trail gate opens. This involves a good bit of ascent but if you hike regularly is achievable & works out a good bit cheaper. You still need to go with a guide & they will try to dissuade you from this option. There is a place to stay just outside the park, 100 M down the road, cheaper than lodge accomodation in the park. kinabalu is a great mountain to bagg and the highlight is walking along the granite rocks near the top.the trail is quite easy although there is alot of steps so coming down wrecks havoc with the knees.its a 5 star mountain but i only rated it a 4 due to the red tape,high costs and the over crowded summit experience.its still worth while. One more thing, they revised the official height of the mountain to 4095m. Just did Kinabalu this past weekend. It was a good hike, the trail was well marked and we were blessed with good weather. A company called Sutera has a monopoly on access to the mountain so in order to climb you have to book rooms in their lodge, Laban Rata, about 3300m up. The authorities won’t allow camping on the mountain. Cost for the night includes dinner, 1n accomodation, pre-summit breakfast, post-summit breakfast, and lunch at the bottom. That all adds up to about RM 800…not cheap but worth it I suppose considering that the food is good and its all buffet (!). To expedite the process I also linked up with a guide company that picked me up from Kota Kinabalu at 730am on the morning of the climb, drove me to the mountain, provided a guide all the way up and down, then drove me back to KK the next day. They also booked the room at Laban Rata lodge. After talking with some hikers who arranged everything on the ground by themselves I might have paid at most RM100 (approx USD 30) more than them. A small premium for a pretty efficient guide service that was seamless. Great value and good service, highly recommended. They’re at(http://www.wildlife-expeditions.com/z-index.php). I would recommend this for people who want to do a quick trip from Jakarta (can be done in 2 nights, Thurs-Sat) just to climb! In short, outside of flight and hotel in KK the first night I paid about RM900 for the guide + accomodation. Its hugely expensive compared to hiking in Indonesia but it is what it is. The summit is worth it! Basic accomodation is good in KK for the night you arrive. Hotel listings abundant on wikitravel. Finally, AirAsia flies three times weekly (Tu, Th, Sat) from Jakarta direct. Great arrangement. Look for the promo deals which can drop the price to around 1.1 return. Not too bad.